Few things go together as well as warm weather, relaxation and backyards. Whether barbecuing with friends or just sitting back with your feet up enjoying the sunshine, you'll find a haven free of stress in the terrain behind your home. While spring is the usual time of year to spruce up the yard and plan outdoor projects, it doesn't take a lot of time or energy to give your yard a quick makeover. Keep it simple and involve the family to make the work go faster, and soon you will be breaking out the grill to celebrate. Simple touches can make a big difference when sprucing up your backyard. Involve the family by planting annuals in their favorite color. Spend the morning at your local flower or garden shop, and you'll find a simple way to make your yard shine. Annual flowers and plants come in a wide range of colors, giving you a chance to make a dramatic difference quickly. Consider the sunlight exposure when deciding flowers to plant. For example, petunias (Petunia) and geraniums (Geranium) love sun, while impatiens (Balsaminaceae) and most begonias (Begoniaceae) would rather hang out in a shady spot. Plant in groupings of five or seven to get the biggest splash of color and include annual greenery such as dusty miller (Senecio cineraria) or spike (Dracaena) plants to add texture to the background. Coleus (Solenostemon) will also add color and touches of light to shaded areas with their multicolored leaves. Create a bird and butterfly sanctuary from an unsightly section of your yard. It happens in every yard. There's that one spot that just refuses to let anything grow. Usually near a tree, fence or corner of a home, this area can ruin the look of your entire yard. Convert this eyesore to something wonderful by creating a refuge for birds and butterflies. Rake the area to remove any loose material and create a smooth foundation. Place paving stones down, filling any cracks with crushed gravel or dirt. Then place a decorative bird bath in the center, hang a bird feeder from a nearby branch or stand and plant some bird- and butterfly-friendly annuals in pots to scatter nearby. A selection of flowers like cosmos (Coreopsideae), cleome (Cleome hassleriana), liatris (Liatris spicata) and hibiscus (Hibisceae) attract hummingbirds as well as butterflies. 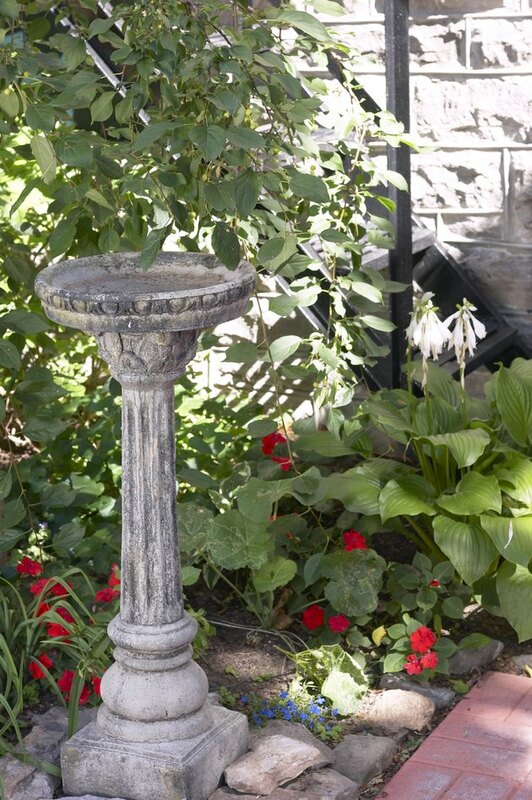 A solar-powered pump in the bird bath will keep the water fresh. Update your outdoor furniture with colorful cushions. Perhaps one of the simplest ways of giving your yard a makeover is to change the patio or porch area. Refresh the look of your outdoor furniture by placing colorful cushions on the chairs and an interesting outdoor area rug on the floor. If the furniture itself is looking a little dated, clean it well and then spray-paint it in your choice of high-gloss color. Hang a homemade wind chime made from old CDs mixed with chandelier crystals, and use large, multicolored pots with a piece of acrylic on the top as a table, and you are ready to entertain. Add solar-powered pathway lights to your yard for nighttime enjoyment. Create a welcoming atmosphere for any time of day by adding lights to your yard. 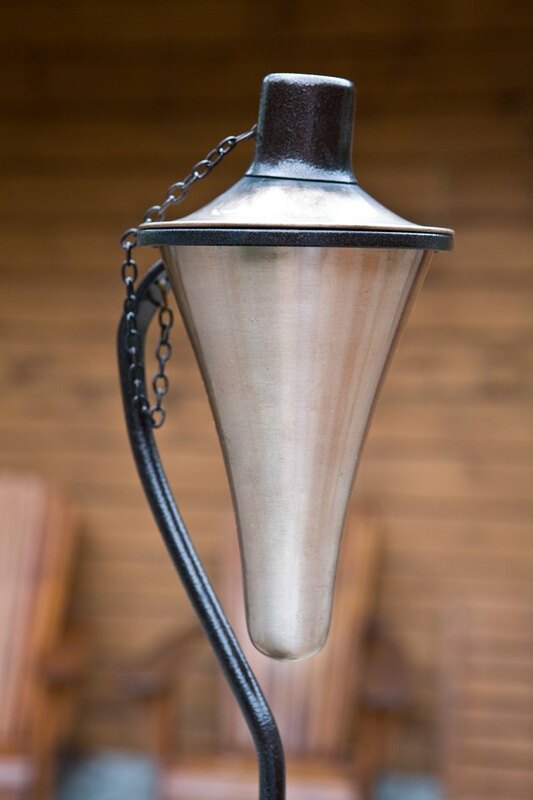 Use solar-powered pathway lights around your garden or to highlight a special area. Light-emitting-diode (LED) holiday lights can be strung through tree branches to mimic fireflies dancing in the trees. Covered citronella candles or torches can be placed on the patio or porch, providing light as well as discouraging bugs and mosquitoes. 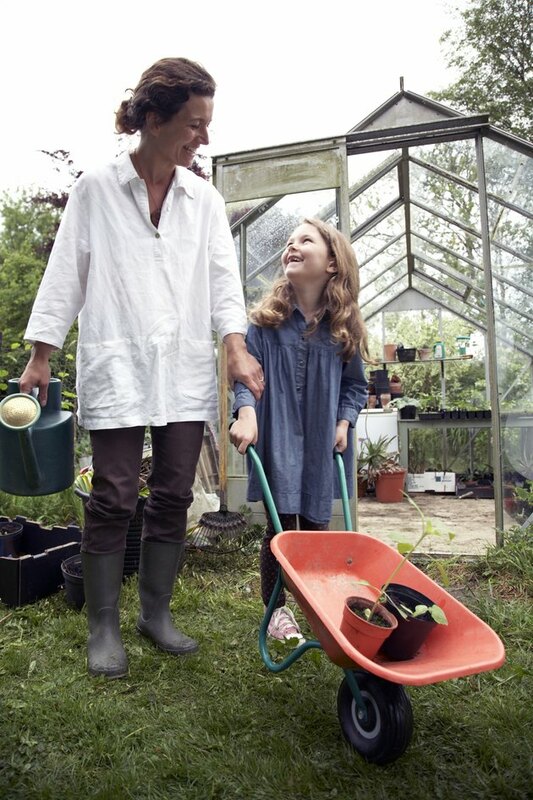 Consider adding evening blooming plants to give extra interest to your nighttime garden. A small display of outdoor art hanging on a fence, surrounded by the night-blooming moonflower (Ipomoea) above a planting of four o'clocks (Mirabilis) -- all highlighted with a few well-placed solar lights -- will give your yard an interesting evening focal point.